Have you seen websites that add a smooth mouse wheel scroll effect? 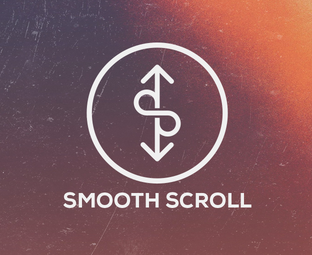 This is a great way to make the scroll movement smooth as it gives your users a better scrolling experience while reading long content. Recently, one of our users asked us about adding a smooth mouse wheel scroll effect in blogger. In this article, we will show you how to add smooth mouse wheel scroll effect in blogger. The very first thing you need to do is to go to Blogger >> Template >> Edit HTML, now in the template search for the </head> tag. After finding the </head> tag, just above it paste the following code. * We can use this to turn OFF smooth scrolling for trackpads. * IMPORTANT: Firefox in Mac somehow handles things differently. Now again in the template, search for </body> and just above it paste the following code. Note: Make sure your blogger template has jquery.min.js or jquery.js file. In case you are unable to find this file on your blogger template then add it manually. Add the following code below the <head> tag. Once everything is done, save the template by pressing “Save Template” button and you have successfully added a cool smooth mouse wheel scroll effect in blogger. We hope this tutorial has turn out to be useful for those who were looking to add a smooth parallax mouse wheel scroll using jQuery on to their websites. If you have a better way of doing this job then feel free to leave a comment below. If you like this article, share it on Facebook, Twitter or Google+.